April marks my one-year anniversary as President of National University. As we get ready for Northern CA and Southern CA commencement ceremonies, I reflect on how special and enlightening the past year has been. I’ve enjoyed connecting with alumni, who perpetuate NU’s vision of positively contributing to our communities, and I’ve been fortunate to visit several of our regional campuses to meet with faculty and staff, who remain committed to serving the needs of our dedicated students. I am also excited to welcome a talented new member to our National University family, Dr. Alfred Ntoko, who will serve as the Dean of the School of Business and Management. Dr. Ntoko is committed to the University’s mission of providing an exceptional student experience by delivering quality and accessible education. One of the key priorities in delivering quality education and student support is through maintaining organizational effectiveness. During the University’s annual Spring Symposium, I appreciated the opportunity to meet with faculty and discuss how we can effectively steward resources within the organization to strengthen the University. We have made it a priority to better understand students’ needs and goals so we can enhance the student experience, and equip our students with the confidence to move forward in life after graduation. 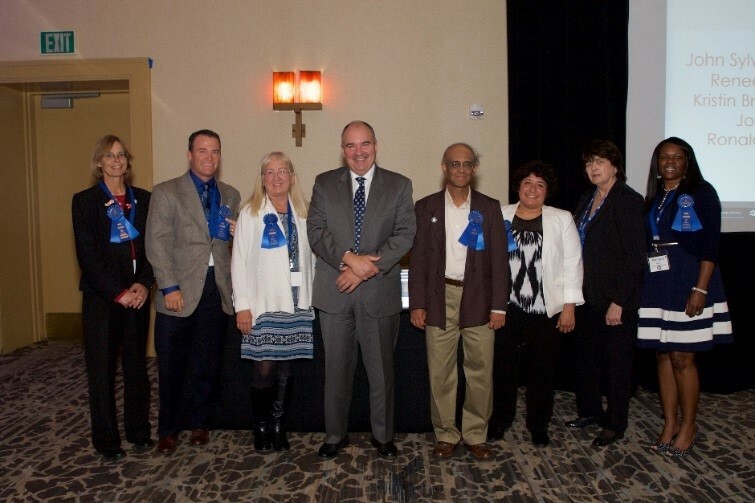 During Symposium, we also took time to honor and celebrate faculty members for going above and beyond in their service to the University and to our students. Academic excellence is another key priority at NU. 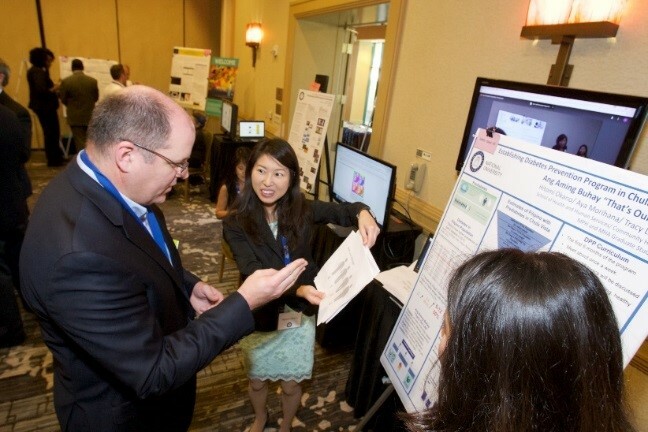 There were more than 60 entrants at this year’s Student Scholarship Conference, whose projects showcased the innovative pedagogy and academic excellence of faculty and students in our four schools and two colleges. I’d like to thank the Research Council, Student Scholarship Team and faculty mentors for their contribution to this event, and I’d like to congratulate all of our student participants for their outstanding work. I’d like to extend a special congratulations to our Graduate winner, Michele Aguilara from the SCOE and Undergraduate winner, Kristen Yep from SHHS, who were each awarded a $500 scholarship for their exceptional research. Kristen’s project on Clinical Trial Research Protocol for Blood iAssay allowed her to work cross-functionally with the National University Nurse-Managed Clinic. These clinics, which are a result of a federally-funded grant, were designed to bring more accessible healthcare opportunities to underserved communities in Los Angeles. Recently, the University partnered with the Salvation Army to open two new clinics in Compton and Inglewood. I had the pleasure of attending the opening and meeting with the dedicated faculty and staff from NU’s School of Health and Human Services. I also met with patients who shared how these clinics have benefitted them personally, as well as their community. 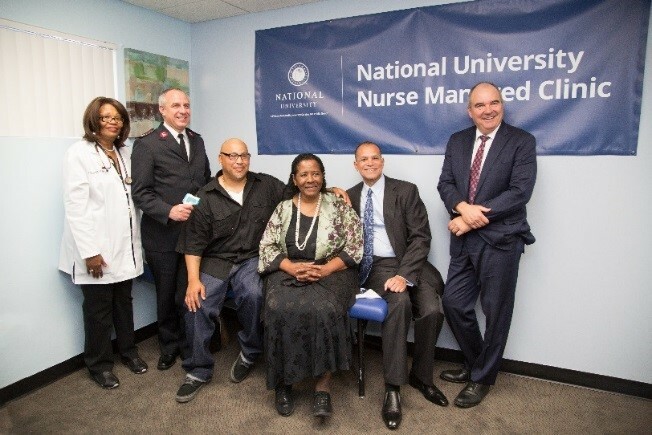 NU partners with Salvation Army to open two new nurse-managed clinics in Los Angeles. I am very fortunate to work with so many motivated and dedicated individuals. I’d like to thank everyone for their commitment to assisting our students in achieving academic excellence so as a University community we can affect positive change in our society.